Edit your photos in seconds! 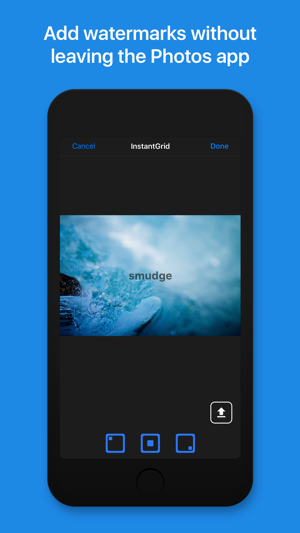 InstantGrid is a quick and powerful image editing tool for social media, allowing you to correct and add effects to your images in just a few taps. 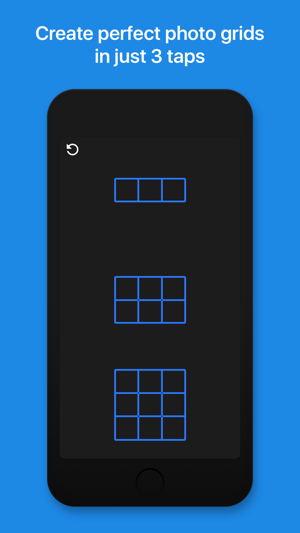 InstantGrid has a number of tools to choose from, including Grid, Panorama, Rotate and Watermark. The Grid tool is a quick and easy way to create Instagram grids from your photos in 3 steps. 1. Just upload a photo. 3. 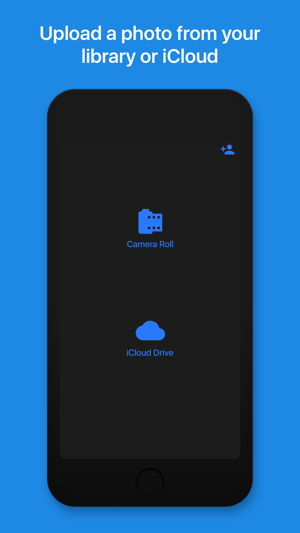 Move your photo to the perfect position and save to photos. 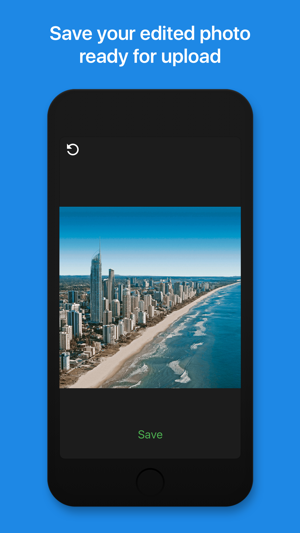 You can then upload your photos to Instagram and show of your beautiful photos in full screen. 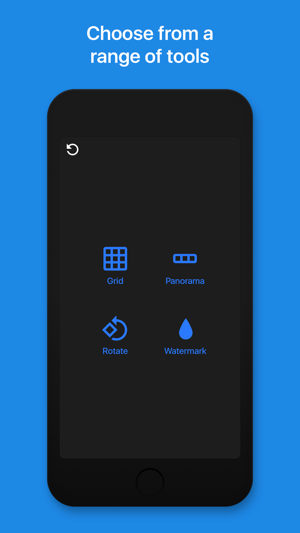 The Panorama tool allows you to cut your Panorama photos into 3 images, ready to upload to Instagram's multi-select feature to swipe through your panoramas in their full glory. The Watermark tool allows you to upload a custom watermark image and add it to your social media photos in a single tap. With a range of three locations and sizes to choose from, adding your signature to your photos couldn't be easier! Add watermarks to your images without leaving the Photos app with just a single tap using the InstantGrid Photos Extension. • Fixes a bug that occasionally occurred when using the watermark tool.